The CRM for small accountancy teams. 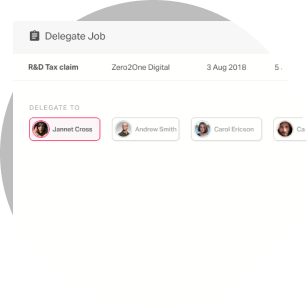 Track emails, files, jobs, and contacts automatically - and all in one place. Meet the CRM for small accountancy teams. Keep all emails, tasks, contacts, and files in 1 place to make every job a breeze. No long setups or excess features, Pixie improves your firm from the day you join. Tired of the same old mistakes? 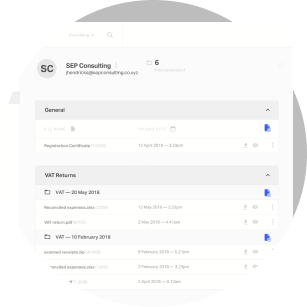 Get a single source of truth for all client details along with the history of emails exchanged, internal notes, files and jobs – all from one place. 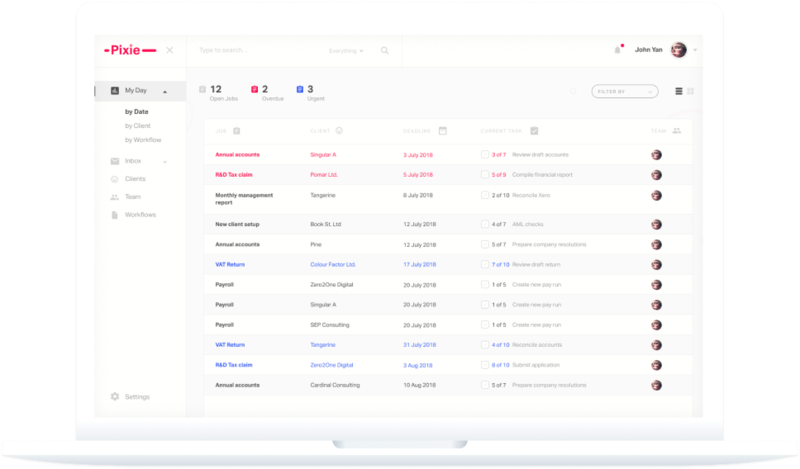 Pixie manages the scheduling of work at your firm, showing you what's in progress, what's overdue, what’s in the pipeline, and what’s in your diary for the day ahead. Stop communication getting lost in your emails. 2-way email sync automatically logs all communication to the correct task, so you’ll never let key info slip through the net. From now on, all of your communication is personalised, tracked and secured. Strengthen customer relationships with that personal touch. Every email will look and read as it was written for each customer. Give your top priorities the attention they need. Make better use of your time by snoozing or delegating tasks that can wait. Use ready-made workflows or fine-tune them to meet your needs. No longer do you need to notify your team at each stage – they’ll always what needs to be done, and when to do it. Never miss a deadline again. Filter jobs to only show your deadlines for the weeks ahead. Stop chasing your team for answers. Find out what your team has been working on, what’s overdue, and what’s coming up. Find the file you need within seconds. Pixie automatically links your files to the correct client and job number. 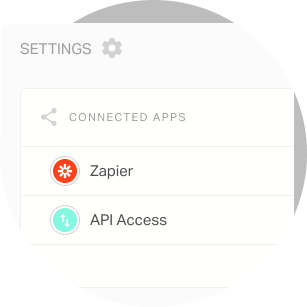 Pixie uses Zapier to seamlessly connect with all of your favourite apps, so you can work the way that suits you. Files are kept secure, the right way, keeping you compliant with GDPR. Clients receive email notifications to view URLs – emails contain secure text messages and unique codes to access documents. When can I start using Pixie? Pixie is currently under development. Requesting to join our exclusive beta today means you’ll get to see what Pixie can do before everyone else and see your suggestions go into the product. Once you configure access to your email we will help you get up and running by importing your clients and doing any other tweaks. 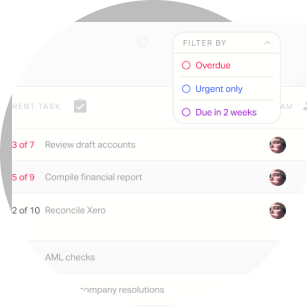 Pixie comes ready with ‘batteries included’, meaning your workflows are already set up and ready to go! Customise them to your taste, or use them exactly as they are. How is Pixie different from other accounting CRMs? Small firms often get swamped by CRMs. 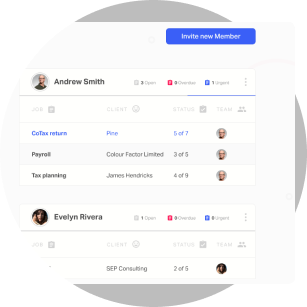 But Pixie was created exclusively for small accountancy / bookkeeping firms, delivering all that’s needed to improve your way of working without any unnecessary fluff. Backed by a team fully committed to delivering a premium experience, Pixie offers a lean package to help you strike the perfect work-life balance. How much will Pixie cost me? At you have noticed by now, we like to keep things simple. While in Beta, Pixie is free. After the beta, Pixie will be a flat-fee per month – for everyone, no matter how many clients or staff you have. There are no additional fees or hidden costs. Onboard new clients and meet their every need to manage a long-lasting working relationship – completely hassle-free. All of this for a fixed monthly fee, no matter how many clients or staff you have. Join the firms that are achieving more in less time with Pixie. Pixie is free while in beta.